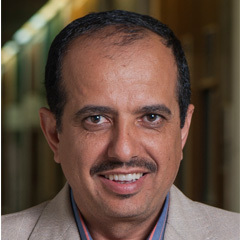 Since Sept. 21, 1997 Al Ghamdi has been assuming the role of research assistant and now is handling several tasks of projects funded by oil companies for geological analysis of surface and subsurface rock samples for different reservoirs, including thin section preparation for rock samples and more than 18,000 thin sections for Saudi Aramco and other major oil companies. His scope of work extends to sample cleansing, lab handling, field and office land survey, operating and supervising machines e.g. spectral ptrothin, multivolume pycnometer and mercury porosimeter.